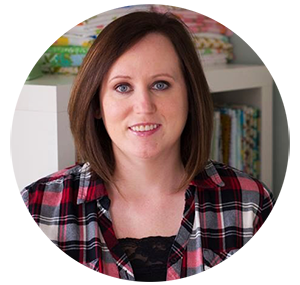 My name is Sarah Wilson, and I founded Crinklelove in 2014. Crinklelove combines my love of quilting with my desire to create a high-quality experience for my clients. My main goal is to serve anyone who loves to curate and piece quilts, but may not have the time or resources to bring their vision to life with machine quilting. I have been providing professional services through Crinklelove for about five years now, but my appreciation for the art of quilting began over two decades ago. After our family was reunited, I really didn’t think about sewing or quilts for quite some time, but I developed a strong desire to learn how to sew around my 30th birthday – specifically with quilting in mind. Given my experience with kind and loving quilters early in my life, I knew I would be happy serving like-minded individuals in the future. Crinklelove provides affordable, professional, and fast services with a commitment to quality throughout the entire process. We have a wide variety of patterns available (with more being added all the time); a user-friendly ordering procedure; professional longarm quilting from an experienced quilter; communication at every step; and a secure shipping method, to ensure a positive client experience from start to finish. Please check out our services and design pages for more information, and feel free to send along any questions you may have. I look forward to collaborating with you soon!